As part of its "Like Brands. 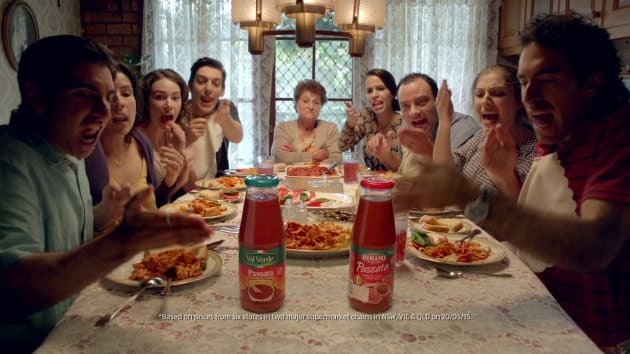 Only Cheaper" campaign, Aldi brings us a family fighting over their favourite pasta sauce. But Nan isn't a fan of either. Nans never are. The campaign, by BMF, is part of Aldi's long running "Like Brands. Only Cheaper" campaign which was launched in 2014. BMF MD Steve McArdle said: "We're delighted to unleash another set of Aldi 'Like Brands' ads on a fully suspecting public. They promise to put even bigger smiles on people's faces as well as a few dollars back in their pockets."